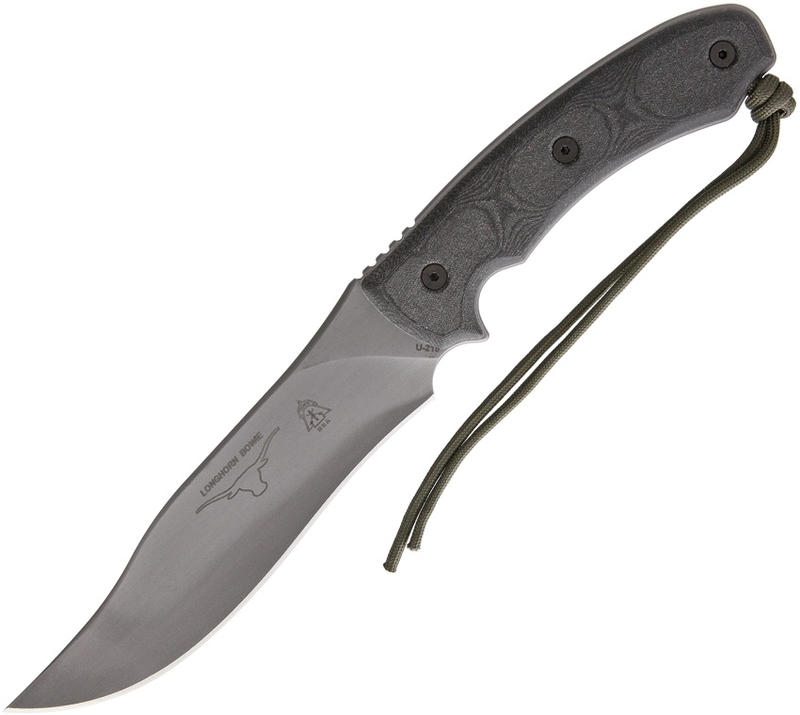 TOPS LONGBBRW Longhorn Bowie Black River Was Knife. 13" overall. 6 3/4" black river wash 1095 high carbon alloy bowie blade. Black linen micarta handles with Rocky Mountain tread. Green nylon cord lanyard. Black nylon MOLLE compatible belt sheath. Comes with black safety whistle. Bulk packed.